I’ve been told quite a bit that I’m a maven when it comes to networking. Recently, I was asked to write some tips for a magazine in California on networking. The tips were so great, that I figured I would share it with all of you. Let me know what you think and feel free to email me if you need additional tips. Successful networking is basically the same thing as personal branding, and at the end of the day…it’s all about developing a good strategy. Think of your networking strategy in terms of a two-pronged approach: 1. events where your target audience or circle of influencers are most likely to be and 2. events that match your personal interests. 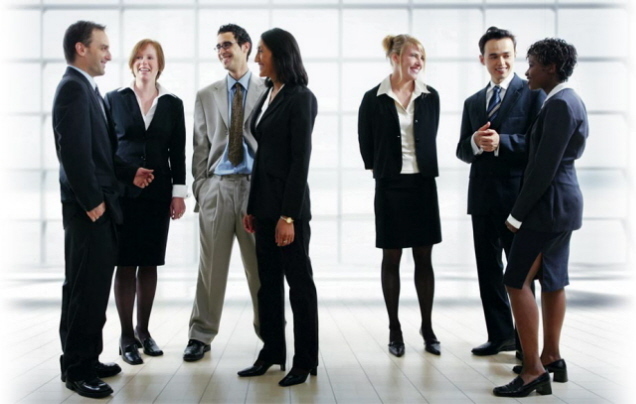 For the business networking events, make sure to pick a time of day when you’re at your peak. For example, if you’re a morning person, only go to breakfast events. If you’re a night owl, go to evening socials and dinners. By choosing a time of day when you’re at your best, you’re guaranteed to reduce the nervousness factor and make it easier for yourself to meet new contacts. For the personal events, make sure to pick topics that are really interesting to you. If you love wine, join a wine club. If you love swimming, get on a masters swim team at your gym. When you share common interests, it’s easy to break the ice and talk about what you do from a non-threatening perspective. People buy from people they: like, know and trust. Great sales, and therefore networking, is all about building long-term relationships. So, if you think about networking like dating, the rules are fairly straightforward: be a good listener, make eye contact, don’t act desperate, don’t have a triple espresso before you show up, shower, dress nice and smile. Another tip is to strategically control the conversation. People love to talk about themselves and the more they talk, the more they feel good about you. So, start the conversation by asking them questions about themselves and be genuinely interested. Find ways to connect what they’re saying to what you do or how you can help them. Eventually, they’ll get tired of talking about themselves and ask what you do. That’s your golden opportunity to modify your elevator pitch and integrate key points that came up earlier into what you say so that it shows your actively listening and you can customize/integrate what you do into a problem they’re trying to solve or a value-added benefit to their client list. Finally, be sure to follow up! If you think about sales as having 8-10 touch points, then networking and following up each count as one. Send an email or a personal note after an event, ideally the next day. Connect with them via LinkedIn while you’re still top of mind. Follow them on Twitter or ask them to follow you. If it’s a really good potential contact, suggest a coffee or lunch meeting in 2-3 weeks so that it’s non-threatening but keeps the momentum going. If it’s a good potential referral source, connect them with someone you know that could be a good potential client for them. The more you do, the closer you get to closing the sale. Angela Hill is the president and owner of Incitrio, a sustainably-minded branding agency located in San Diego, CA.